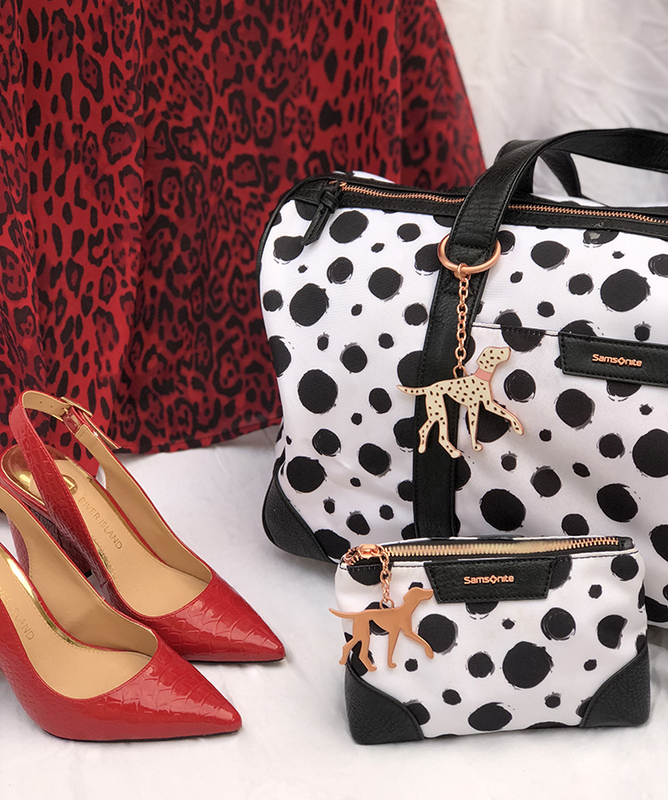 Leopard print may be one of – if not THE – biggest print trend of the season but it’s not the only animal-inspired design to be rocking right now, with zebra and tiger stripes adding to the high street menagerie. 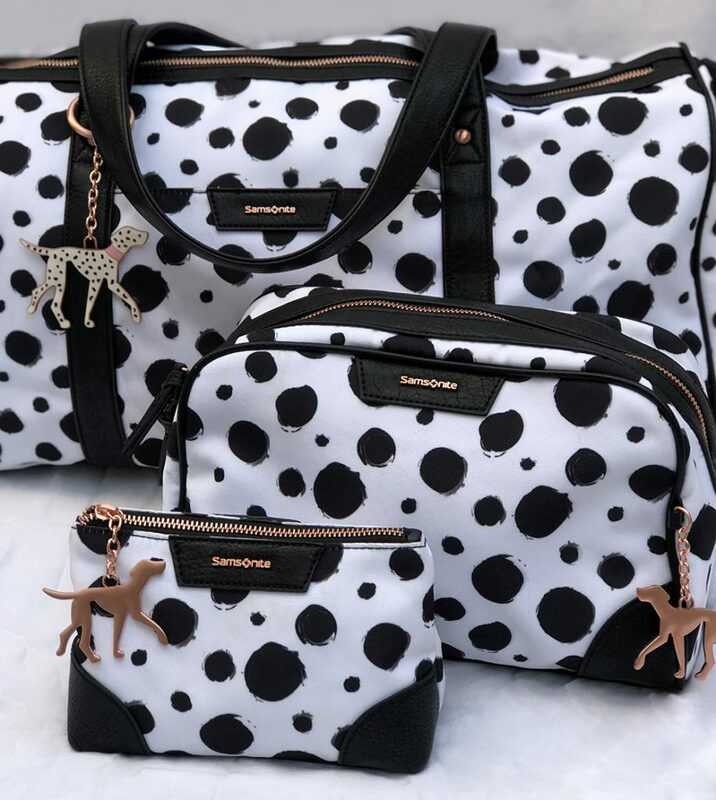 When it comes to spots though, the leopard isn’t the only animal sending wardrobes dotty this season as Samsonite’s collaboration with shopDisney introduces the dalmatian print into the mix; the trend for bold, monochrome spots is going nowhere, so this accessories collection hits two trends in one. …The Autumn/Winter 2018 runways made the case for going all out with an animal print mash-up but if you need a little confidence to pair up your patterns, try sticking to a minimal colour palette. Here, black, white and red keep it simple. 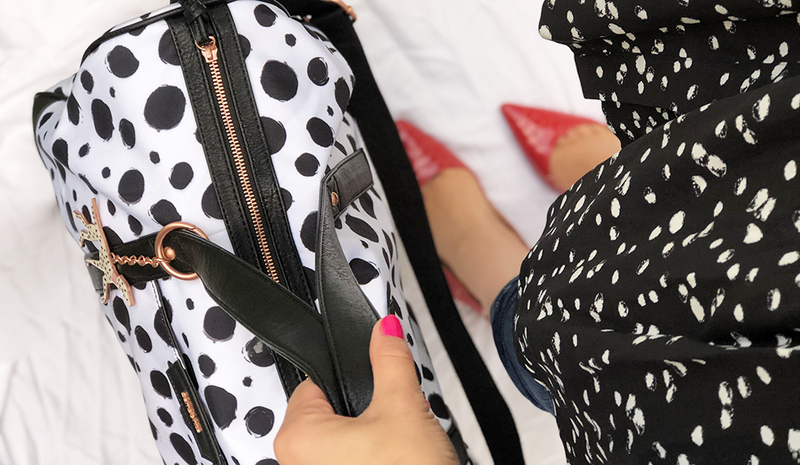 …never go out of fashion and work for any occasion from day to night and work to weekend, so don’t hesitate to invest in some black and white dotted action. Contrast large spots with small and black-backed prints against white-backed to keep it interesting. …and introduce the other key black and white animal print this season: zebra stripes. 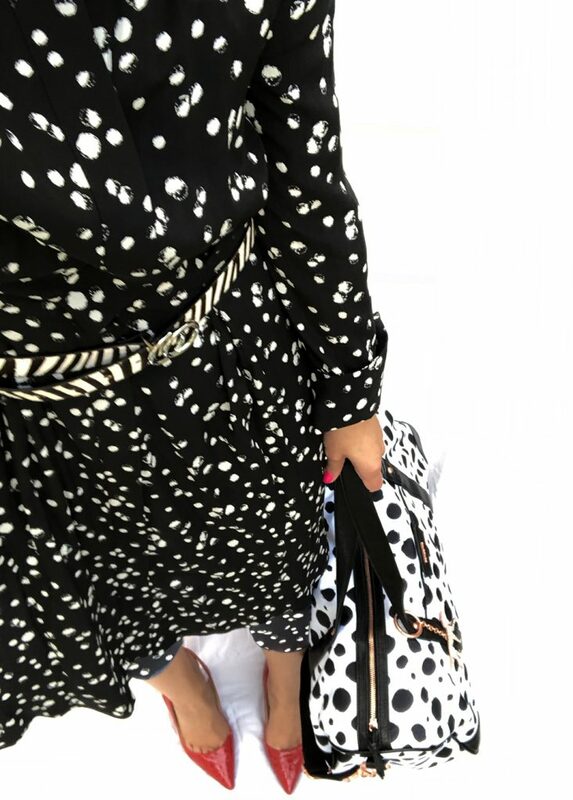 With a polka dot dress, dalmatian print bag, mock croc shoes and zebra striped belt, thats 4 prints in one outfit but feels more wearable than the crazy colour clash animalia seen on the runways.